HealthCare is confusing enough without being inundated with emails, postal mail etc. If you receive any EMAILS from the list below - Please ignore or delete them - Trout Insurance has taken care of this FOR you. "Log In to review your 2019 Coverage Options"
All of these are " auto - generated " - As your agents, we are managing your HealthCare.Gov account for you. Please contact Trout Insurance at 279.4681 for any other questions or changes you have for your healthcare account. Have you Filed your 2017 taxes yet? Heads up: This week, a Failure to Reconcile (FTR) Notice is being mailed to consumers who received advance payments of the premium tax credit (APTC) for plan year 2017 Marketplace coverage, but who have not yet filed their taxes for 2017 or didn’t reconcile their premium tax credit when filing taxes for 2017. Consumers applying for financial assistance for Marketplace coverage for plan year 2019, including APTC, who have recently filed and reconciled can make an attestation that they recently filed taxes and reconciled their premium tax credit on their tax return for any past years. 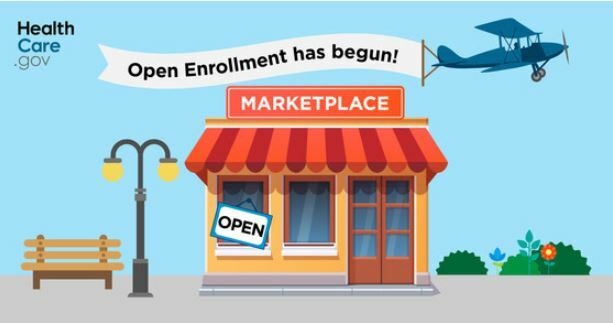 NOV. 1ST - HEALTH INSURANCE MARKET PLACE OPENS! First - " THANK YOU " for the confidence and trust you have placed with us. 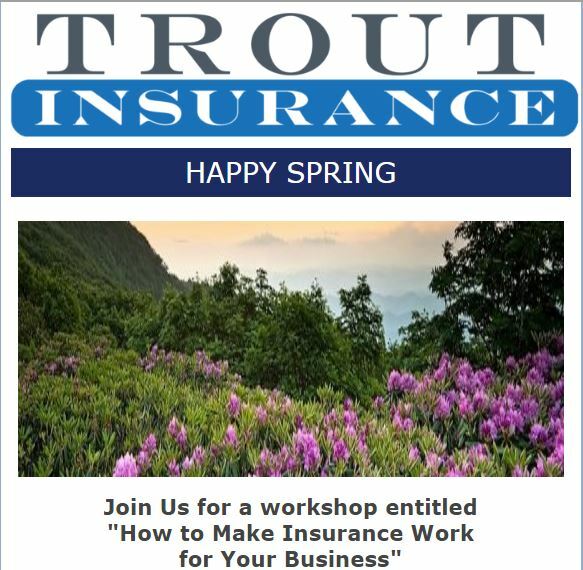 We are honored you have chosen Trout Insurance as your agent for your insurance needs. I appreciate the opportunity to continue to be of service to you. November 1, 2018 marks the beginning of the Open Enrollment season for ACA / Marketplace Health Insurance plans. And we have a very short season this year - All changes and updates have to be completed by December 15, 2018. Effective date for new plan year is January 1, 2019. Check the plan you currently have and see if the plan itself has the benefits for you and your family for the upcoming year. Think about how you use health care and how you want your insurance to work. Estimate your income for 2018. To determine the premium subsidy - the Marketplace uses your " MAGI " - Modified Adjusted Gross Income. This is your total income plus the full value of Social Security. Line 37 + 20a. To see a sample, click here. As the premium of the benchmark Silver plan has increased - so too the premium subsidy has increased as well. If you have similar income estimate in 2018 as 2017 - the actual subsidy will increase for 2018. BCBSNC Renewal Letters - these letters had the new premium for 2018. BUT they quoted your actual 2017 premium subsidy you are currently receiving. So as we said above - the subsidy for 2018 should increase as well. 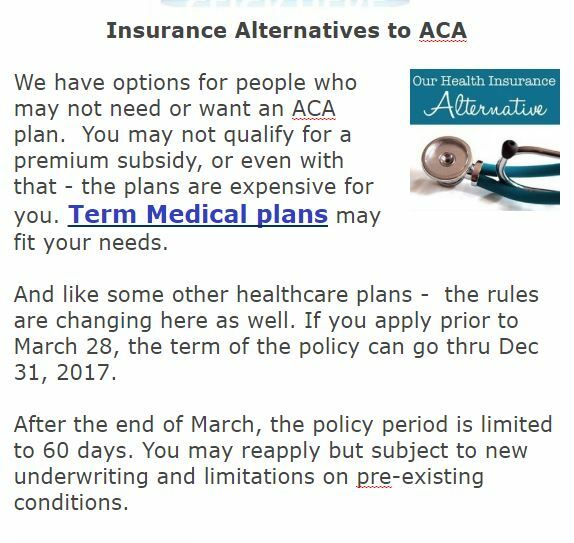 ONE - Please complete the ACA Checklist- This will update our information. Make a note of any plan changes, other information or questions. TWO - We work with an " ACA Web Broker " - this certified and secure software gives us easy access to Healthcare.gov to make changes. Express Lane ! AND - as you have an existing application thru Healthcare.gov - it is important we use the same application number / account. Creating a new application creates confusion and major train wrecks for consumers. THREE - We receive updates daily from Blue Cross and the Marketplace so we can follow your application thru the process. We have added staff to help serve you better in this short season - Welcome Shannon Sparke & Nancy Peterson. FOUR - Again we appreciate the opportunity to serve you ! MANY THANKS ! After all these years on the road - We now have an actual storefront! 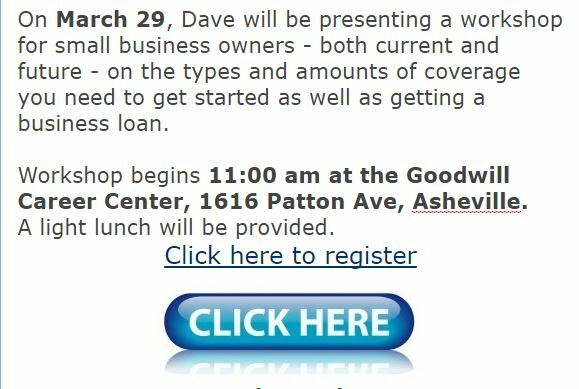 Located in the heart of downtown Weaverville - 29 N. Main Street. Jan Trout has done a wonderful job putting this project together. Note - In an Medical Emergency - always go to the nearest hospital. In insurance language - emergency follows the " Prudent Person Rule" - that is " a medical condition for which a prudent person would seek immediate medical care". Emergency care is always covered as in-network benefit. For those with current treatment for an acute or chronic condition - you may apply for "Continuity of Care"
For more information - please click ﻿here﻿. Through the month of April, Jan and Dave of Trout Insurance are donating 1 pound of dog food to our local Asheville Humane Society for every new like on our facebook page. Our goal is to donate 1,000 pounds of food. Let's help feed these sweet animals as they wait on their forever homes. Like us on facebook today! 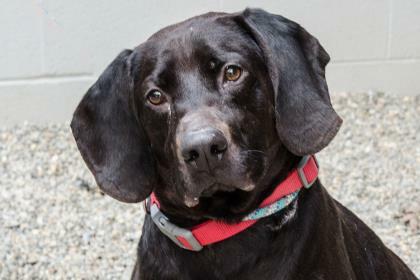 Sweet Chopper who is currently up for adoption at the Asheville Humane Society. 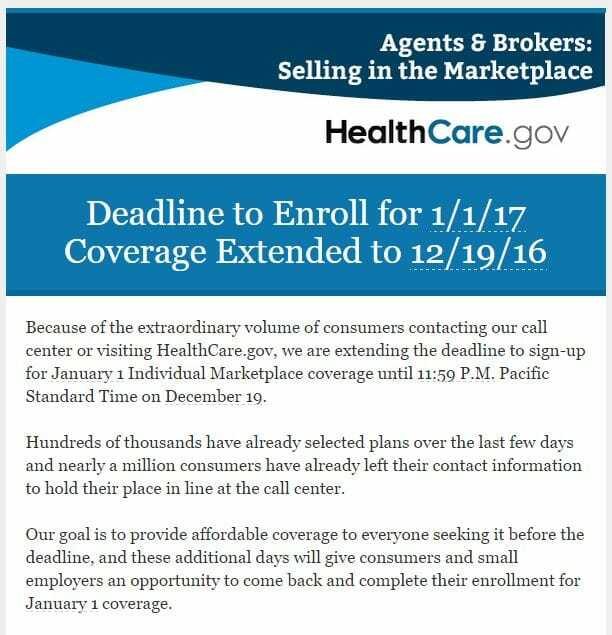 DEADLINE TO ENROLL FOR COVERAGE EXTENDED!!! Our Agents at Trout Insurance: Jessica, Butch, Jeremy and Dave are ready thru out the weekend and Monday to help you. Some small companies that dropped group health insurance for their employees are reversing course, driven by a tightening labor market and rising costs and fewer choices for individual coverage. Laura Cottrell, owner of a seven-person home-furnishings and home-improvement products business in St. Louis, dropped group coverage in 2014, not only because of the cost but also the complexities of picking the right plan within a short deadline. Instead, she gave her employees a raise that they could use to buy their own health plans, sparing her from choosing for them. Now Ms. Cottrell is looking at adding health benefits to make a cabinetry business she launched this year more attractive to potential employees. If she makes the change, she says she would offer coverage to employees of both of her businesses. “People are looking for health care,” said Ms. Cottrell, who said she was recently turned down by one job candidate because she doesn’t offer health benefits. Adding to her pain:UnitedHealth Group Inc., her personal carrier, won’t offer individual coverage in Missouri next year. job market or because they think it’s the right thing to do. Chris Carey, president of Modern Automotive Performance in Cottage Grove, Minn., eliminated group health coverage in 2014 in an effort to rein in costs. “This made a dramatic impact on our culture, as employees felt they were missing out on a benefit that was standard in other organizations.” The online auto-parts retailer and manufacturer backtracked last year and now pays 50% of the premiums for its 38 employees. Conflicting forces are buffeting small companies. Transitional rules that allowed certain companies to continue offering existing plans that don’t meet certain ACA requirements expire at the end of 2017. 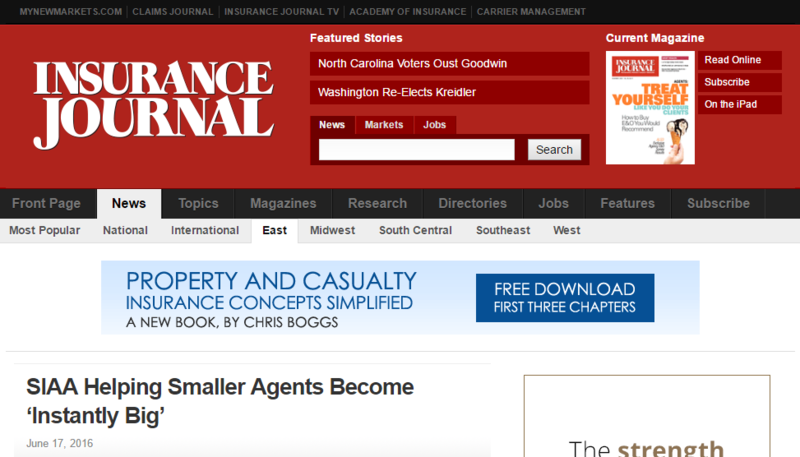 In North Carolina, some companies could face cost increases of as much as 40% for ACA-compliant plans, said Michael Matznick, a Greensboro, N.C., insurance broker. Costs and terms vary from state to state. Insurance giant Aetna will stop selling health insurance through most of the exchanges created by the Affordable Care Act in 2017 because the company said it is losing money in many of those markets. On Monday, Aetna said it will sell individual insurance policies in only 242 counties in four states, down almost 70 percent from the 778 counties in 15 states where the company markets Obamacare plans this year. 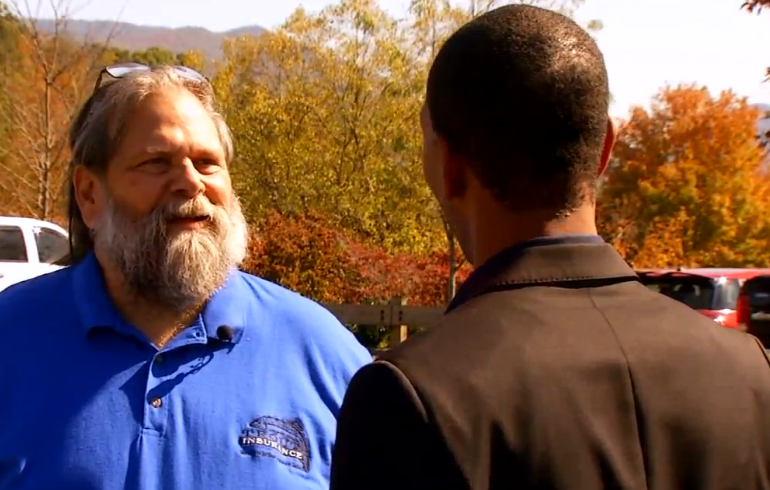 The decision is a blow to President Obama's signature health care law. Most insurers selling plans through the exchanges have been losing money because the people getting insurance under Obamacare have been sicker than forecast. But Aetna, which lost $430 million on the Obamacare plans in the first half of the year, said it may re-enter the markets in the future. "We will continue to evaluate our participation in individual public exchanges while gaining additional insight from the counties where we will maintain our presence, and may expand our footprint in the future should there be meaningful exchange-related policy improvements," CEO Mark Bertolini said in a statement. Aetna, which covers about 900,000 people through the exchanges, is the third major insurer to pull back from the Obamacare marketplaces. UnitedHealth Group said in April it planned to pull out of ACA marketplaces in most states, and just last month Humana, which covers about 800,000 people, said it will cut back its offerings to just a handful of counties. All the companies said they are losing money on the plans. The Department of Health and Human Services has argued that companies have themselves to blame because they set premiums too low. The companies will be able to adjust the premiums in the future. "Aetna's decision to alter its Marketplace participation does not change the fundamental fact that the Health Insurance Marketplace will continue to bring quality coverage to millions of Americans next year and every year after that," saidKevin Counihan, CEO of HealthCare.gov, the federal insurance exchange. In all, about 11 million people have bought insurance through the exchanges. A spokesman for HHS said Aetna's decision was an about-face from its earlier statements about the Obamacare exchanges. In April, Bertolini called the marketplace plans "a good investment" because it would have cost the company far more than $430 million to try to attract that many customers. "If we were to build out 15 markets, it would cost us somewhere between $600 million to $750 million to enter those markets and build out the capabilities necessary to grow that membership," he said on the company's April earnings conference call with analysts. Aetna's announcement comes less than a month after the Justice Department sued to stop the company's planned merger with Humana, arguing that the combination would hurt competition. At the same time, the government also sued to block Anthem from purchasing Cigna. Sen. Elizabeth Warren, a Massachusetts Democrat, suggested Aetna's change of heart was in response to the Justice Department's action. In a post on her Facebook page last week, Warren questioned the company's motives after it first hinted that it was considering cutting its participation in Obamacare. "The health of the American people should not be used as a bargaining chip to force the government to bend to one giant company's will," she said. Aetna spokesman T.J. Crawford didn't immediately respond to a request for comment on Warren's statement. HHS said last week that the per-member health care costs for people covered through the exchanges remained stable from 2014-2015. If that trend continues, insurers should be able to set premiums that better reflect the actual costs of covering people under Obamacare. "The next ACA open enrollment is key," tweeted Larry Levitt, a senior vice president at the Kaiser Family Foundation. If insurance sign-ups increase, then deeper concerns about Obamacare will fade. "If not, expect a debate about fixes to the law," he wrote. It is summer in our beautiful mountains. Vacation for the kids and their parental units. Lots of house projects. Cookouts and BBQ's. Hot afternoons in a cool movie theater or a very cool concert. Time for getting out to the trails, streams, waterfalls, woods, meadows, lakes and in Dave's case - the beach. The old Florida boy's habits are tough to break. In spite of all this fun, we have been working hard taking care of new and old friends. Updated Website - Check it out. - Nationwide for home and auto coverage. - especially for Social Security Replacement. And expanded options for folks transitioning to Medicare. Missed Open Enrollment ? 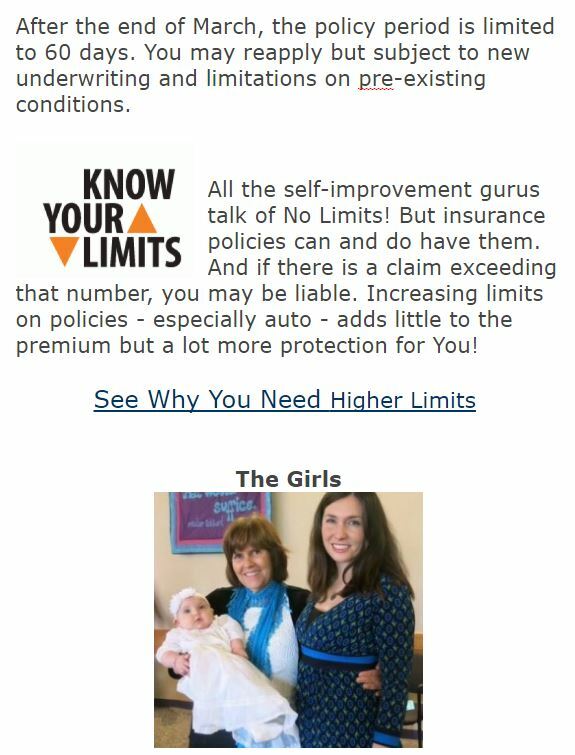 Frustrated by Higher Premiums ? Not Eligible for Premium Subsidies? 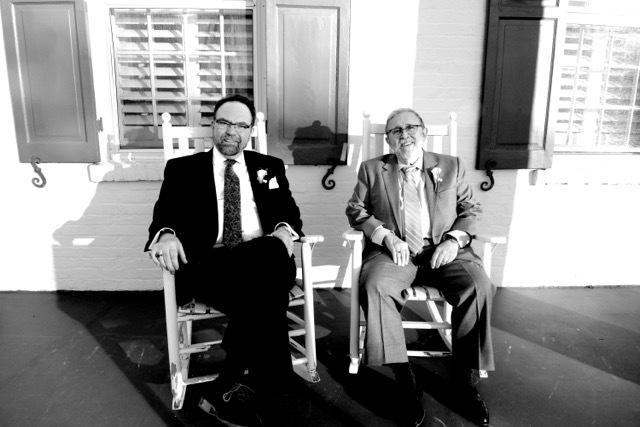 As insurance professionals, we are always looking for options for our clients. Short Term Medical -- These plans stand outside the new requirements of the ACA. You must answer health questions and coverage may be declined. Pre-existing conditions - any treatments, diagnosis - within the last 12 months are not covered. But if neither of these apply - good potential savings. We call this the "Not ObamaCare " ...read more about "Not ObamaCare"